This series was produced while working for a conference at the United Nations Office in Vienna; during which I wore a Superman costume under a suit for the last remaining hour of each working day. 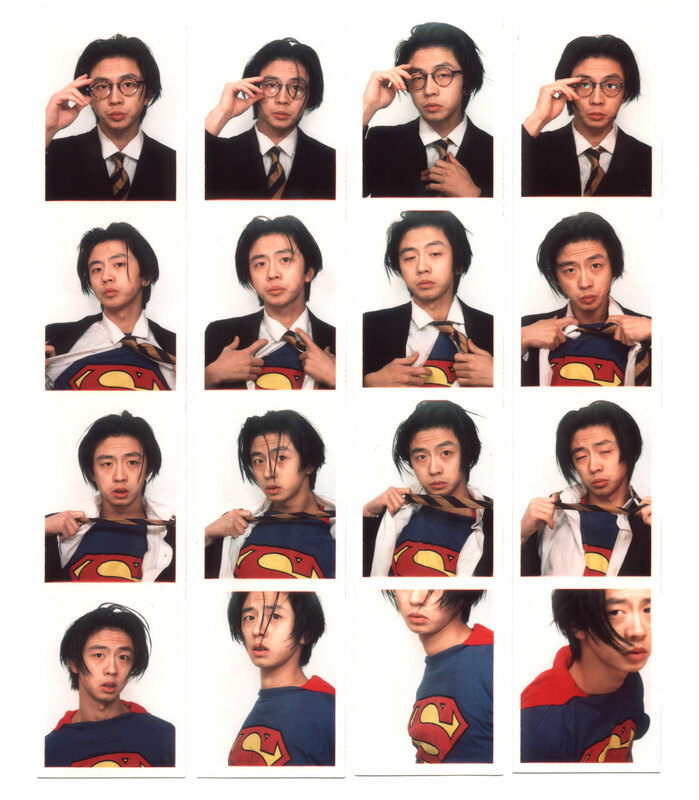 After work I went to a photo-booth (photo-booths that take in a series four photos in approximately 18 seconds for each photo-strip) to take these photographs: from salariiman to superman. This is the first series in this group of works. 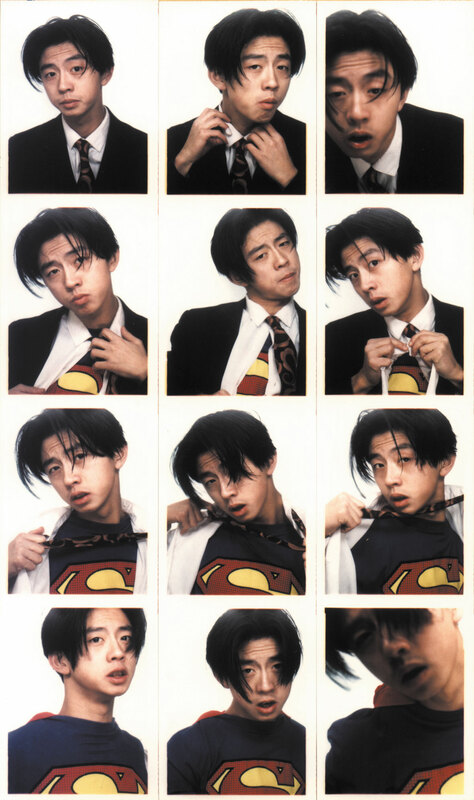 For 20 days I went to a photo-booth to create the ‘perfect’ photo of the transformation of an office worker (jap. : salariiman) to superman. Each day four photo-strips were taken. 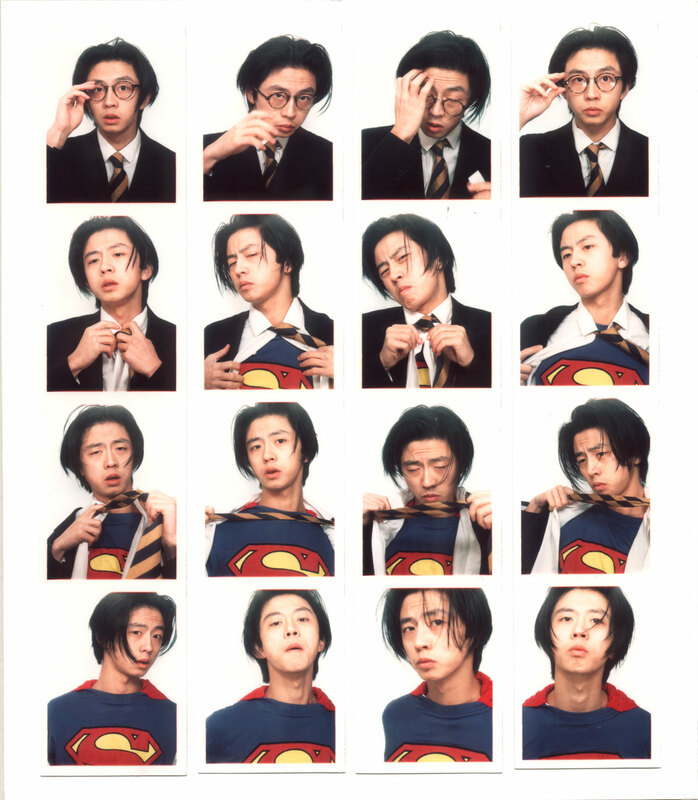 The video from salariiman to superman is based on these photographs and on this transformation.